Pierre Teilhard de Chardin (1881-1955) was a French Jesuit theologian and scientist renowned for his pioneering field work in paleontology. His visionary writings on the reconciliation of faith and evolutionary theory aroused the suspicions of the Vatican and he was forbidden to publish on religious matters during his lifetime. After his death, the publication of his many books marked him as one of the most influential Catholic thinkers of this century -- a mystic whose holistic vision speaks with growing relevance to contemporary spirituality. Often considered ahead of his time, Teilhard's writings have more relevance and impact on our current times than when he was first published. Ursula King is professor and director of the Center for Comparative Studies in Religion and Gender in the Department of Theology and Religious Studies, University of Bristol, England. 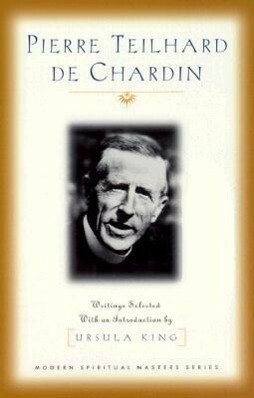 Among her many books are several on Teilhard including Small Press Book Award winner, Spirit of Fire: The Life and Vision of Teilhard de Chardin and Christ in All Things: Exploring Spirituality with Teilhard de Chardin. Her most recent book is Christ Mystics: The Spiritual Heart of Christian Tradition.